Will Karl Lagerfeld Make His Cat Rich? Chanel icon Karl Lagerfeld died at the age of 85 in Paris after spending decades defining the fashion world. After his death, the big question is what will happen to his £150million fortune? 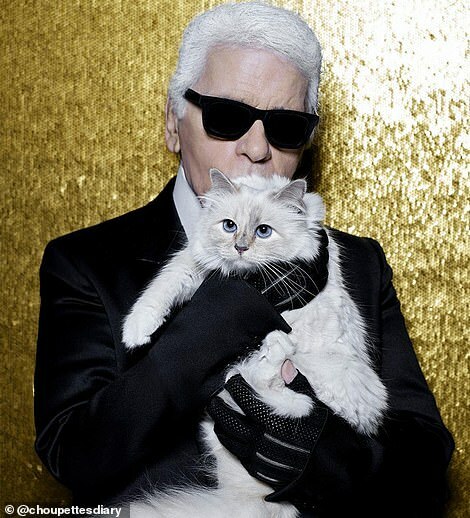 Despite having a godson, Karl Lagerfeld may have left a will that gives most of his fortune to his cat, Choupette. Lagerfeld once called his cat his one true love and famously said he would marry if it was legal. That means the cat will likely inherit a hefty sum and be able to spend its life in luxury that most humans will never achieve. Then the cat will use another of its nine lives to reclaim its fortune and live in luxury eight more times. To read more about what could become the richest cat in the world, click here.